"A Very Disturbing Series Of Events" - Are The Russians Running To Their Bunkers? 'A Very Disturbing Series Of Events' - Are The Russians Running To Their Bunkers? Back on August 24th, Susan Duclos reported on ANP that the Czech Republic had recently warned their citizens to 'prepare for the worst', joining a growing list of government's including Germany, China and the US recently issuing cryptic warnings to their citizens. 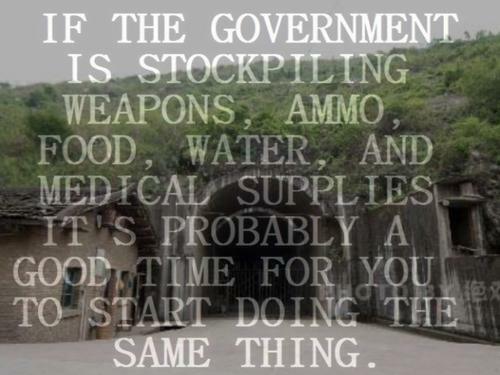 As this recent story from the Organic Prepper's Daisy Luther tells us, we seem to be witnessing a very disturbing series of events as governments around the world are preparing for war. While we've always felt it smart to stock up on food and water, preparing for that 'rainy day', to hear government's come out urging their citizens to do so as well should be the final wakeup call for the still-sleeping masses yet many complain onwards about their lack of 'safe spaces'. What do govt's around the world know that the American people don't know? An interesting series of recent stories give us a huge hint. Back on July 2nd, a story in Finland Today called "Join NATO And Russia Brings Troops To The Finnish Borders, Says Putin" was followed recently by a story called "Finland Joins Hands With The US Over Russian Threats" and another: "WW3 Alert: NATO Stands Up To Putin, Russia Becomes Dangerous." As we learn in this new story directly from the Ministry Of Defence Of The Russian Federation, a decision made by the Supreme Commander-In-Chief of Russia of unannounced inspections of the Southern, Western and Central Military Districts, the Northern Fleet, Aerospace Forces Main Command, and Airborne Troops Command had begun. We hear more about these 'SNAP' Russian drills that have put its troops at full combat readiness in the 1st video below. We also learned more about these drills in this Daily Star story in which we're told that Vladimir Putin could be on the verge of declaring full-scale war with these massive military operations taking place everywhere and the President of Ukraine warning that he hasn't ruled out the possibility of a full-scale Russian invasion. Another new story recently brought to our attention comes to us from Roger Stone over at News With Views within which we're told a fascinating story that Stone says may be the biggest scandal in 50 years of US history and should have been what Republicans impeached Bill Clinton over; Clinton long ago sold out America's national security to our enemies. Telling us in this story how Clinton helped to fund Russia's 'doomsday bunkers' at Yamantau Mountain, we also recently read from an unconfirmed source that the Russian's may be heading to these bunkers right now. If that report is correct, and we pray it's not, we're warned that this means war is very close. Much more on that below. A story from March of 2015 told us that back in the 1990's during Bill Clinton's administration, Russia constructed a massive underground shelter in anticipation of nuclear war that was approx. 400 square miles in size. Roughly as big as the entire area inside of the Washington DC beltway, the command center of this complex at the Yamantau Mountain, eerily translated as 'evil mountain', was rumored to be 3000' directly straight down from the summit of the gigantic quartz rock mountain, one of several similar sites across the Russian nation. We were also told in that story that Russian television had previously reported that 5,000 emergency bomb shelters were allegedly built in the city of Moscow alone by the end of 2012 - and that the Russian government hasn't stopped preparing for nuclear war. Meanwhile, 'the US government has essentially done nothing to prepare our citizens for an attack'. 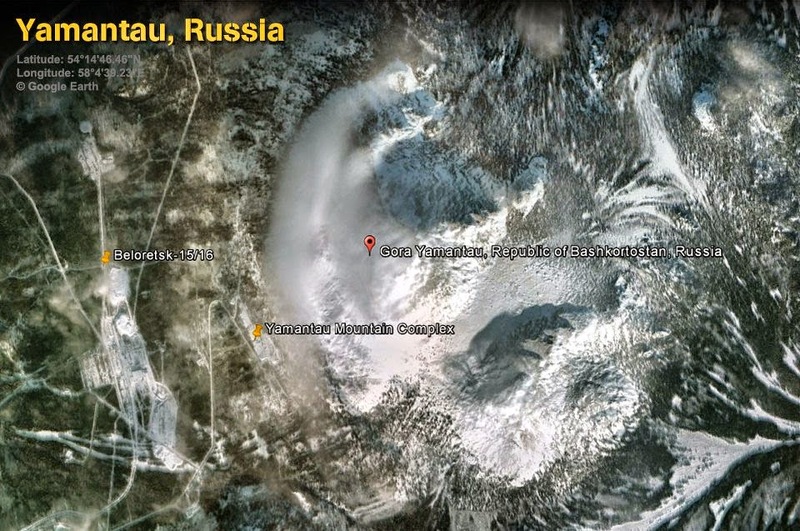 We also learn that Mount Yamantau is part of Russia's 'dead hand system'. Even if all of Russia's leadership was to be killed in an attack by NATO or the US, 'dead hand' would trigger a 'doomsday' counterstrike using Russia's nuclear ICBM's to completely destroy the West. 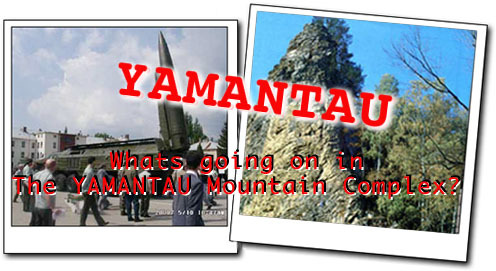 Known as Yamantau Mountain (translates to 'evil mountain'), the facility is being constructed to offer a safe place to retaliate in the event of an American nuclear attack. To me, this represents a direct conflict of interest. Clinton gives the Russians over one billion dollars to help them take down their nuclear weapons but instead they use that money to build a huge bunker where they can wage nuclear war on the U.S.
“It is clear that Russia is modernizing its strategic forces,” Scaparrotti told a conference sponsored by the U.S. Strategic Command. Mark Schneider, a former Pentagon nuclear policy official, said Russia’s new national security strategy, which was made public in December, discusses increasing civil defenses against nuclear attack, an indication Moscow is preparing for nuclear war. “Russia is getting ready for a big war which they assume will go nuclear, with them launching the first attacks,” said Schneider, now with the National Institute for Public Policy, a Virginia-based think tank. “We are not serious about preparing for a big war, much less a nuclear war,” he added. 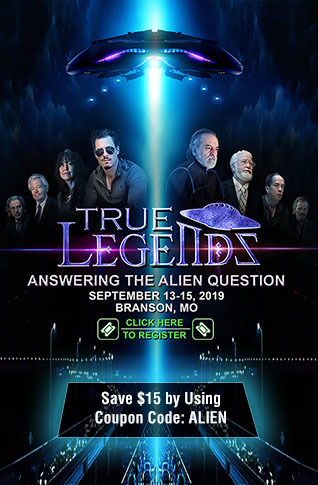 While the US has neglected to prepare its citizens for nuclear war, we've been getting more and more proof that those at highest levels have been preparing for something huge for quite some time. As this Infowars story from back in April of 2016 told us, "panicked elite were buying bomb-proof luxury survival bunkers to escape civil unrest and disasters." A series of stories from earlier this year included the NY Post's "Is Zuckerberg Building A Secure Bunker Next To His Home?" while Realtor.com of all websites ran a story called "Prepping For Doomsday: Bunkers, Panic Rooms And Going Off The Grid" in which we were told "The apocalypse has become big business. And it's getting bigger every day." This Daily Mail story from April of 2016 also warned us "the super-rich were buying up underground bunkers" while only days ago, ANP reported that with all of the military drills happening worldwide and tensions at a hair-trigger, all it will take is one wrong move that could quickly lead us to 'the end'. We've also recently had a story brought to our attention that we cannot confirm at this moment and we pray is not true for if it is, it means that nuclear war could be very close. As we hear in the final video below, there's been a report that a 'Hillary Clinton WW3' is unavoidable and top Russian leaders are high-tailing it to their bunkers at Yamantau Mountain. We stress here that ANP cannot confirm this story at this time. If we do receive confirmation, we will update this story immediately. If its true, the American people should know - as we all know, we certainly won't find this out from our mainstream media nor government. Russia has approximately ten thousand to fifteen thousand antiballistic missiles in its defense system. Large numbers of these missiles have computer guidance systems that are programmed to hit specific targets in the United States. What if Russian antiballistic missiles come down like rain and nukes go off in Chicago, Los Angeles, New York City, San Francisco, Denver or Dallas? If Russia were to launch such an attack, would the American people be prepared? While the American 'elite' run off to their bunkers, the mass majority of the American people will be sitting ducks for destruction. A global war would certainly explain the warnings that all of these government's have been giving. 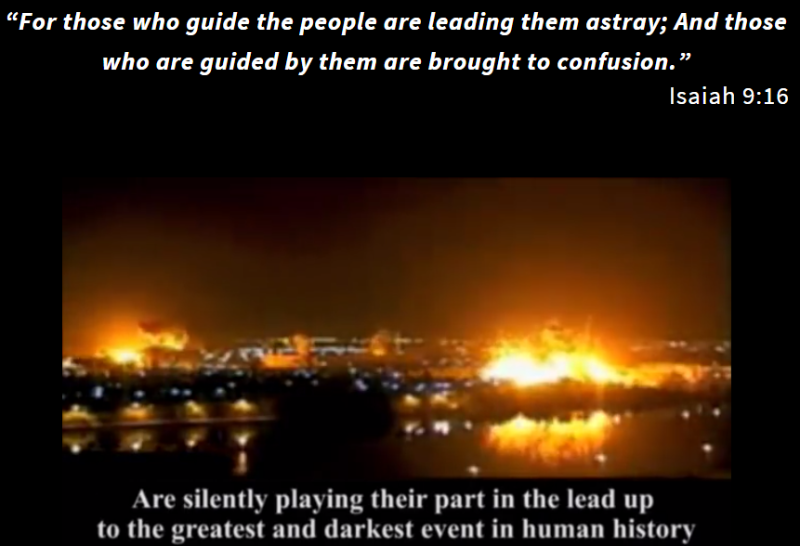 We pray that McGuire's warning from back then never comes true for the sake of all of humanity.